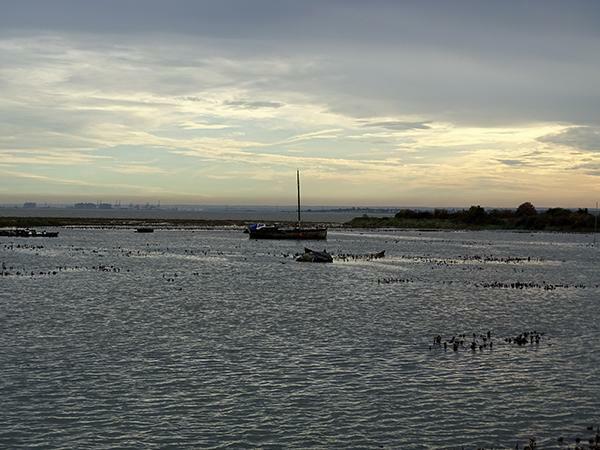 Here are the names of the disappeared that haunt the Thames Estuary. The pitch pine planking of the Souvenir is inhabited, scarred, cut, and incised with that which has been lost at sea, displaced, dispossessed, evicted, or pushed to extinction. What those who live here tell us, we believe. We enjoy confusion between aesthetics and fact. These scars in the Souvenir are for those who know, and for others who wonder. 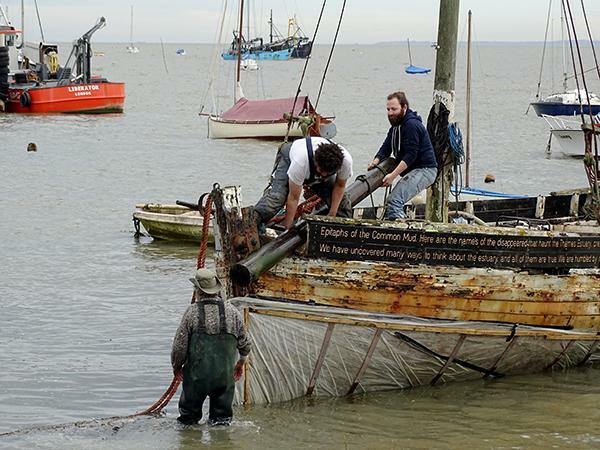 We are humbled by reams of common sense grounded in a lifetime of toil on the mud, the marsh, and the foreshore, made possible by all the forgotten fishermen’s wives who live among us. We have tried to return the dead and the missing to a precarious presence, even as they rot on the marsh. The absent and the annihilated leave residues, traces, and stains, which contaminate the current of optimization. The sea is a place to dispose of things one never wishes to see again: a dead body, a rotting hulk (like the Souvenir), illicit goods, arsenic, cadmium batteries, diesel, exhausted gear box oil, shopping trolleys, chip rappers, tin cans, and shoes. At the end of a journey by land, there is the sea. It has no roads. Rules relax. People remove their clothes, get drunk, scrap, and make love. The estuary is a system of excess and indifference. Refuse to come ashore (at least in your mind).